I’ve decided to spread some skills (expectations) around as warm ups. Today our warm up involved pay schedules. 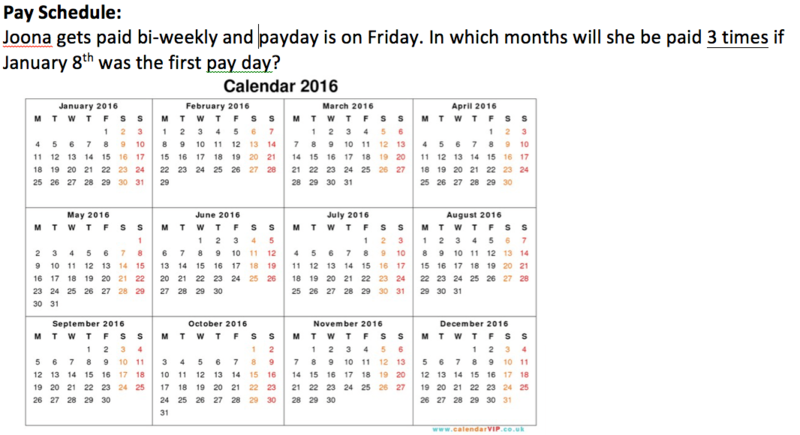 They highlighted every two weeks on their sheet to indicate pay days…..and seeing which months had 3 payments allowed us to have a short discussion on making budgets around our pay cheques. We picked up where we left off from yesterday’s practice sheet with percent. We talked again about different ways to get paid, including an example of getting paid by commission. 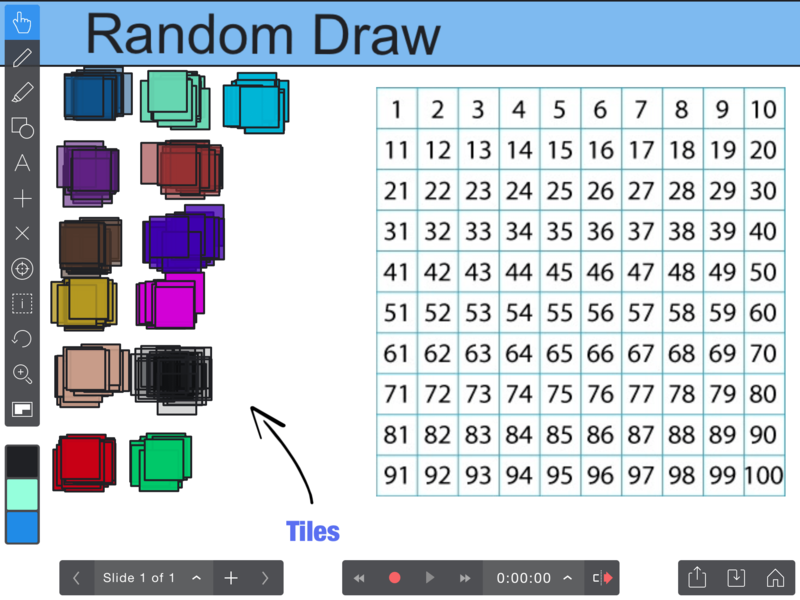 I brought in the random winner game to give a little more excitement to just practicing. I usually use the Smartboard and sticky notes but this always ends up with a huge waste of expensive stickies. This time I re-used the 100 grid from the Explain Everything file from yesterday. I assigned each person a colour (I only have 13 students—-otherwise assign each pair a colour). Each time they get their question checked by me and it’s correct they earn a tile. If it’s incorrect give them some feedback and ask to try again. WHEN correct they go to the iPad and randomly choose one of the squares to cover. 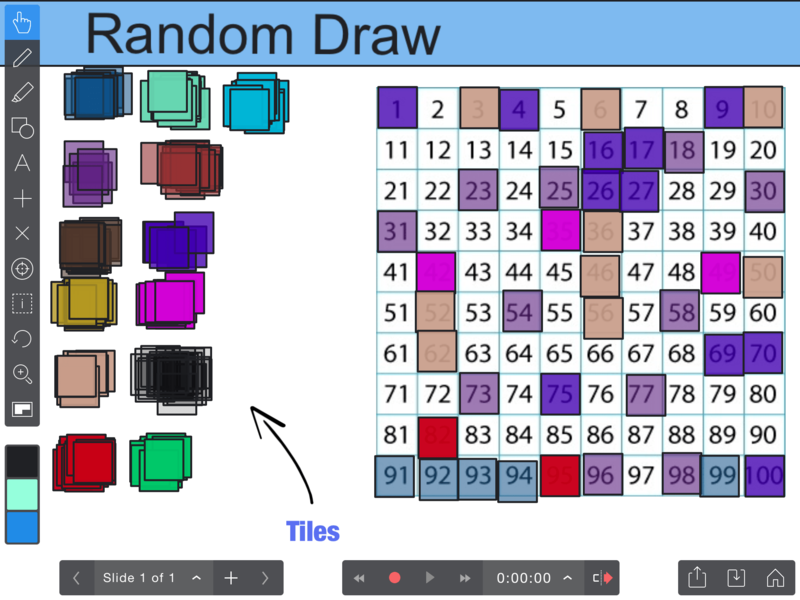 At the end of class we randomly chose one of the squares….and whoever is covering that square is the winner! Now since we’re dealing with teenagers…..this excited some of my students and for others……not so much. 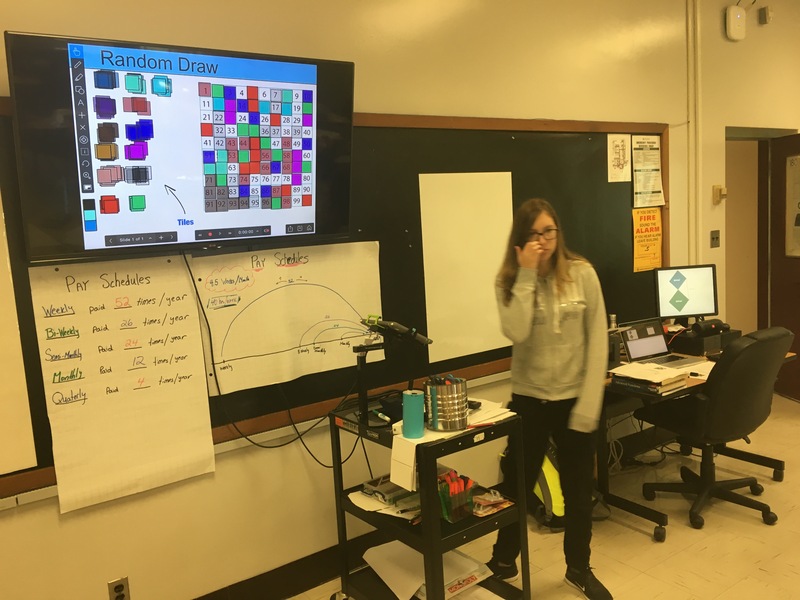 Although one student didn’t want to place any tiles on the grid she still had all her answers checked by me for feedback. Tomorrow will be our first mastery day. We’ll spend the day working on skills from the week plus a quiz.